Spectacles! Of a Different Color: An introduction to the electromagnetic spectrum. Clouds in a Bottle: Investigate how clouds form. An Alien Point of View: View the world at other wavelengths. What's your current direction? 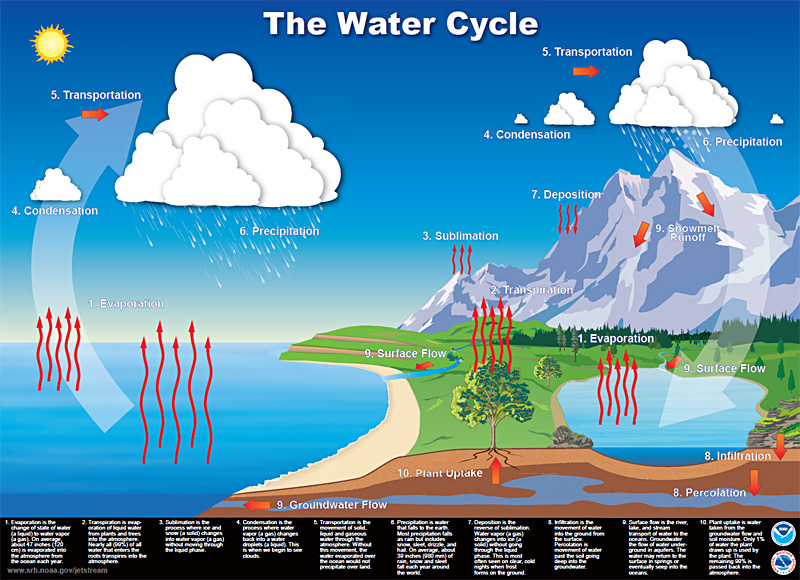 Observe how heat, density and viscosity influence the flow of liquids and the atmosphere. Light Beams: Discover how light is used to measure the atmosphere. Getting a Charge Out of Life: Find out how clouds generate electricity and lightning. Clouds and Climate: Find out how clouds play a vital role in climate by regulating the Earth's energy balance. 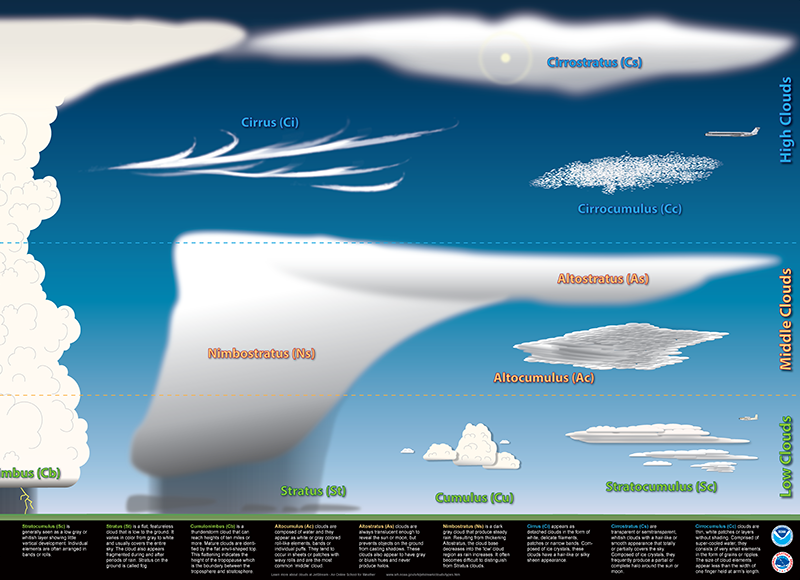 Convection: The secret behind intricate cloud patterns and thunderstorms. 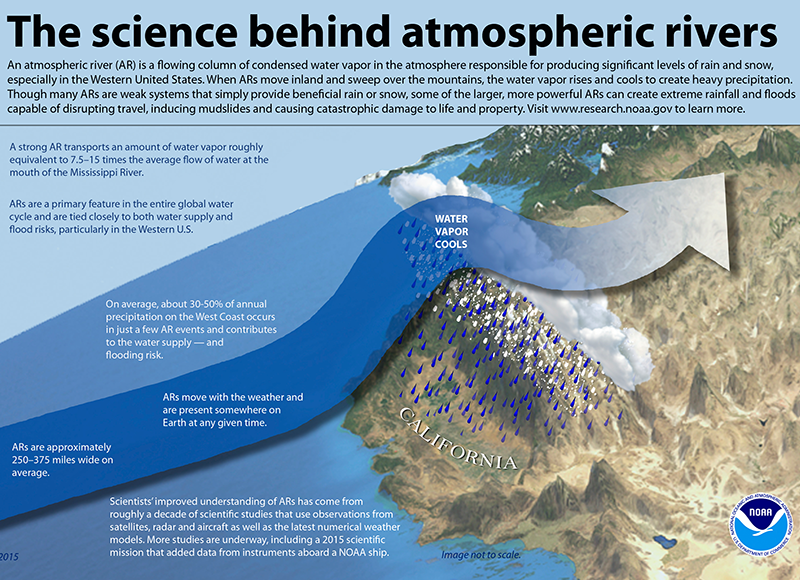 Glitter: How "glitter" can improve weather observations over the ocean. Raman Scattering: A simple way to change the color of a laser.